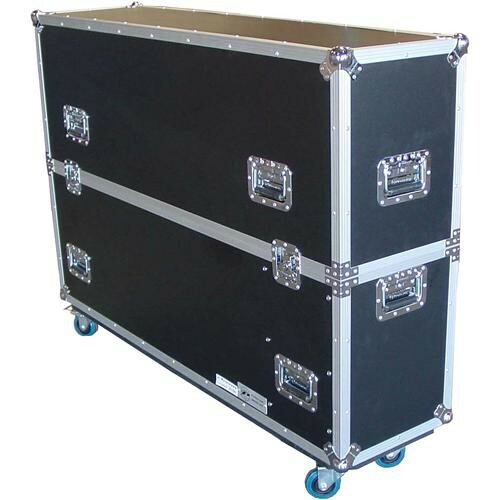 The AC-PLASMA42 Single Universal Fit Case from Pro Cases is designed to hold one plasma or LCD screen that is 42". This case is made of ABS plastic with 3/8" plywood laminated to it. The AC-PLASMA42 is equipped with 4"-casters on a full caster-board, and includes adjustable foam inserts for protecting your gear. Box Dimensions (LxWxH) 50.0 x 33.0 x 16.0"
AC-PLASMA42 Single Universal Fit TV Case for Most 42" LCD / Plasma Displays is rated 5.0 out of 5 by 1. Rated 5 out of 5 by Leif @ Symform from Great case for the price. I've only shipped it a couple times, so we'll see how it holds up in the long run, but it seems to be a solid case for the money. I looked all over and everything seemed either super expensive or very low quality. This one was the only middle ground I could find. Also, the company that actually builds these called me and customized the box for me, then personally delivered it to me on location at a trade show in LA (awesome customer service). Not sure if anyone else will get that perk, but know that they provide excellent service.